At Gerlev Sports Academy you will become a part of a high-level, innovative and international sports environment. You will meet competent teachers who challenge you physically and mentally, but also emphasize the community and the joy of play and exercise. At Gerlev Sports Academy you will become a part of a high-level, innovative and international sports environment. You can choose from 16 major subjects and a wide range of minor and study subjects assigned in three distinct periods. A stay at Gerlev can last anywhere from 2 to 10 months. At Gerlev the everyday life and teachings are based on you and your development. You will meet competent teachers who challenge you physically and mentally, but also emphasize the community and the joy of play and exercise. With 10 lessons a week, the main subject offers professional immersion and the opportunity to develop and challenge yourself in a community. Choose between Parkour, Dance, CrossFit, Outdoor, Natural Move, Basketball and many more. At Gerlev one out of four students has an international background. This gives you a perfect opportunity to develop and meet over 100 new people - who will become your friends... for life! Gerlev is a traditional Danish Folk High School, but we mostly speak English, in order to include all pupils in the community. At Gerlev we emphasize the joy of movement, play and development. 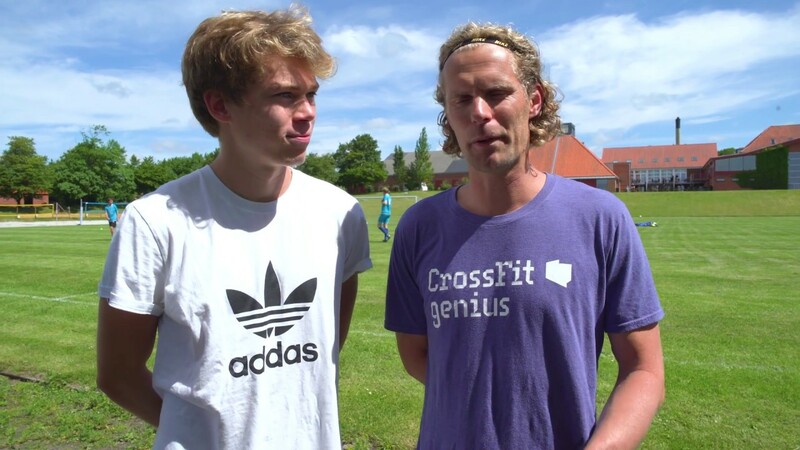 Gerlev is the school that first introduced education in outdoor activities in Denmark, put a parkour on the school schedule, got a CrossFit affiliate and now offers courses in Natural Movement. At Gerlev everyone can join. The major subject allows you truly to become immersed and gives you the opportunity to develop and challenge yourself within a strong community. It is the biggest subject offered with its 10 weekly lessons. You can choose between 16 main subjects, varied depending on the season. In addition to the major subject, you choose one minor subject and two study subjects. The minor subject is 6 lessons per week. Each period offers 4-6 different subjects to chose from.The study subjects are 4 lessons per week each, also varied throughout the year. You choose the minor and study subjects upon arrival at the school. Gerlev is beautifully situated, close to Copenhagen and Odense, with a beautiful views of The Great Belt, plenty of fresh air and various outdoor facilities. Gerlev's cuisine emphasis healthy and delicious food, adapted to lots of physical activity. The kitchen makes an effort to meet all special dietary requirements. Please remember to note any special requests when you enroll. We have single and double rooms as well as some 3-bed rooms, all equipped with a sink. You are always welcome to visit and a tour of the school, so you can experience the atmosphere, facilities and meet students and teachers. Contact us by e-mail: gerlev@gerlev.dk or call +45 58 58 40 65 and get a tour. The economy is divided into weekly tuition fees, which cover accommodation, food and classes, a registration fee, a fee for a "Gerlev collection" and travel expenses. Each period offers unforgettable trips to different destinations, where you can try out everything you've learned from us.